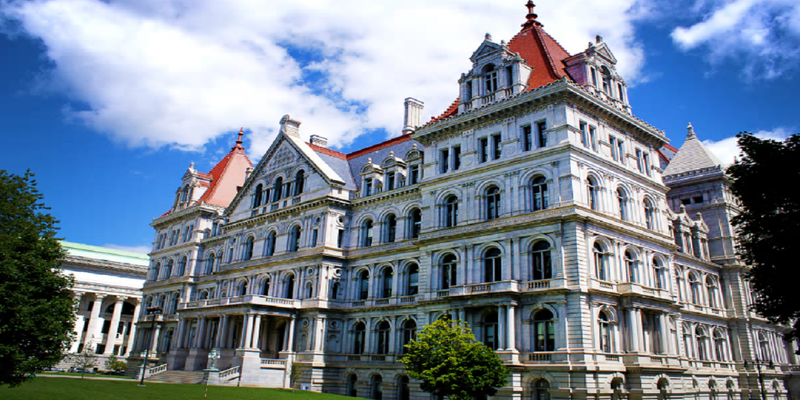 ALBANY, N.Y. (Legal Newsline) - New York lawmakers won't discuss a bill targeting abuses in the asbestos compensation system during today's meeting of the Senate Finance Committee, where the bill, which is similar to legislation passed in 15 states, has sat for three months since being approved by the Judiciary Committee. A lawsuit filed by the UFC with the goal of changing the state’s laws on combative sports looks “likely” to succeed, lawyer and combat sports law consultant Erik Magraken believes. 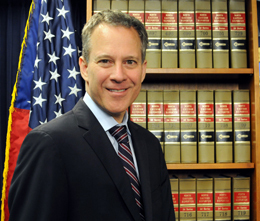 NEW YORK (Legal Newsline) -- New York Attorney General Eric Schneiderman announced Wednesday a $330,000 settlement with an Illinois food distributor for allegedly overcharging New York state and local institutions, including schools and homes for the elderly. NEW YORK (Legal Newsline) - Former New York State Senator Carl Kruger was sentenced Thursday to seven years in prison for accepting hundreds of thousands of dollars in bribes for using his office for official actions benefitting individuals. Fiske NEW YORK (Legal Newsline) - At least two members of New York's Special Commission on Judicial Compensation are pushing for raises for more than 1,200 state judges.